Hi there everyone. 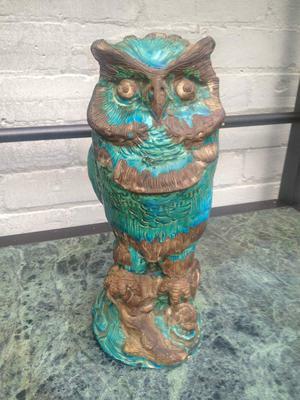 I have a large 12" turquoise owl. I believe it to be old but I dont understand the mark on the base. 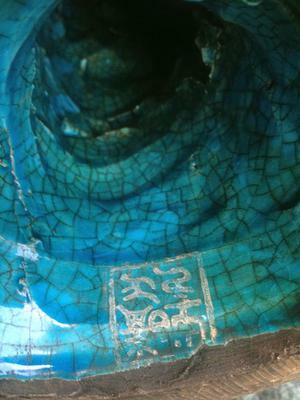 Much help in identifying the mark and piece. Thanks! And is it upside down? Looks more like European pottery. No idea regarding the mark.